Only informative thing. Don't worry. Only my thoughts on early tests of server from 2012-2014. Can be noticed here. 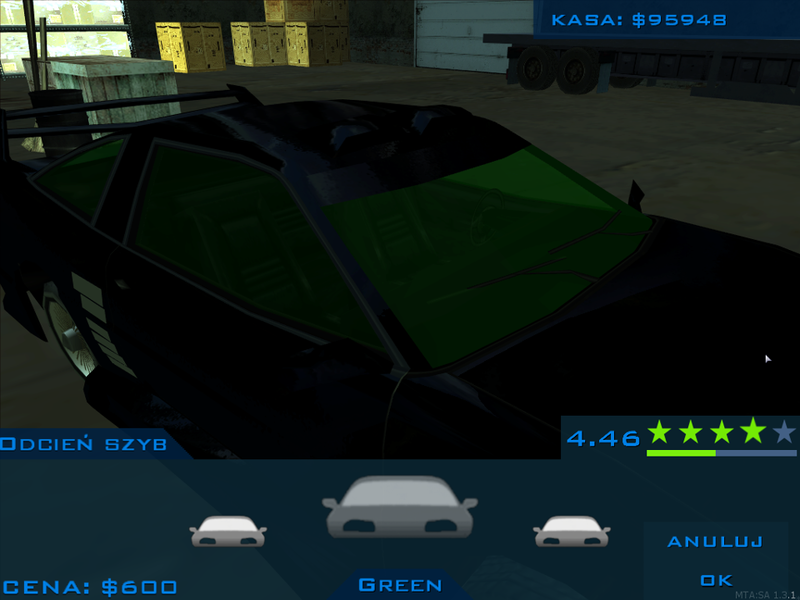 Probably got cut by fact that GTA SA's handling can't handle 6 gears (it can handle maximum 5). 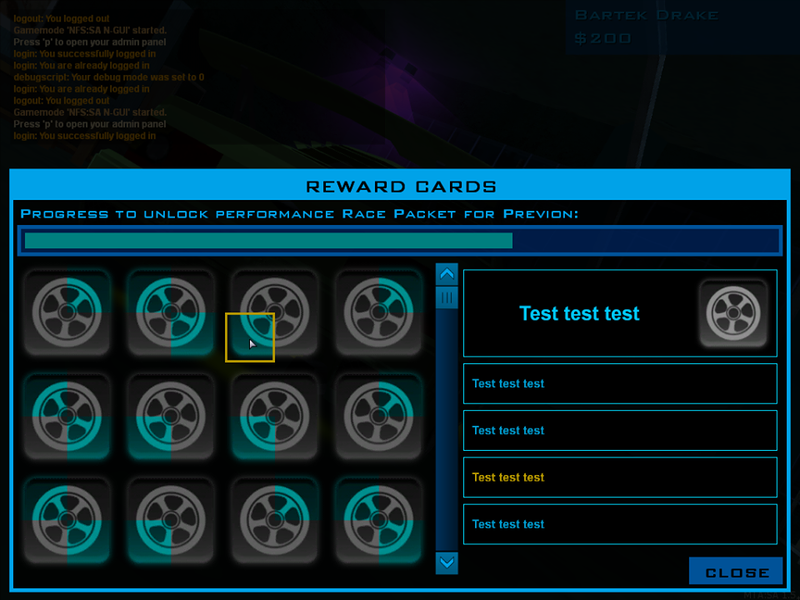 Probably nothing much than test car, maybe it was never planned for server. 6th gear too. Plus this thing was pretty darn fast. Probably first version of metallic paint. 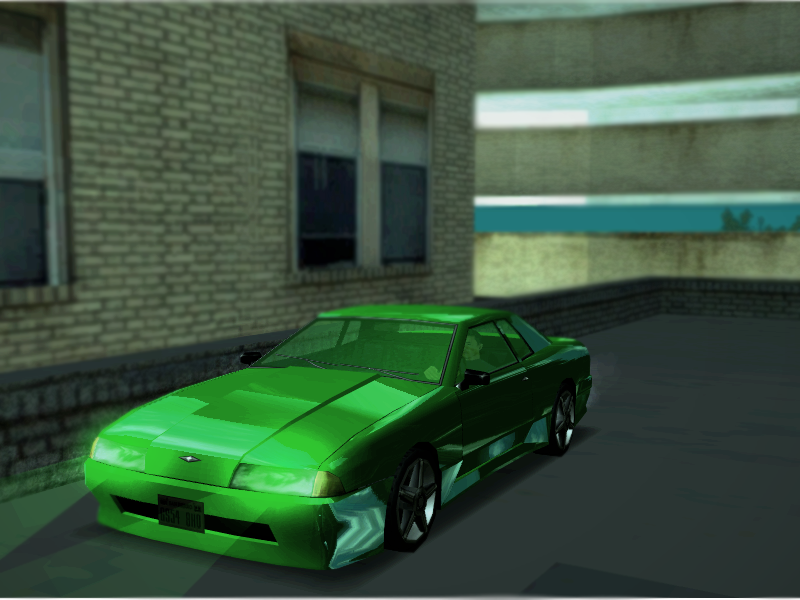 Notice default GTA SA rims. Explains for itself. Bartek made a poll long time before server started which icon players would prefer. As I am concerned B was never used. 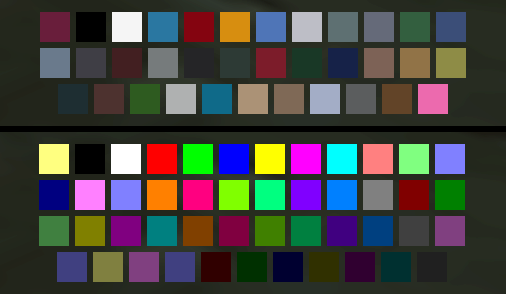 Probably color selecting section. Prices were way higher, but profits were also bigger. That system was initially meant to replace achievements. Both got replaced by taskpoints and car levelling. 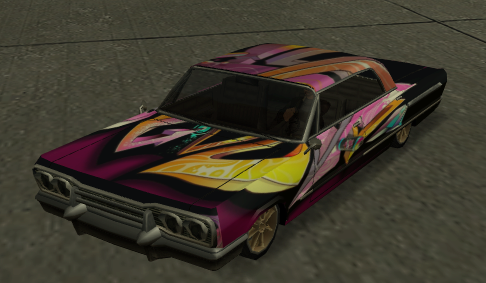 Most likely cut vehicle from NFS SA. 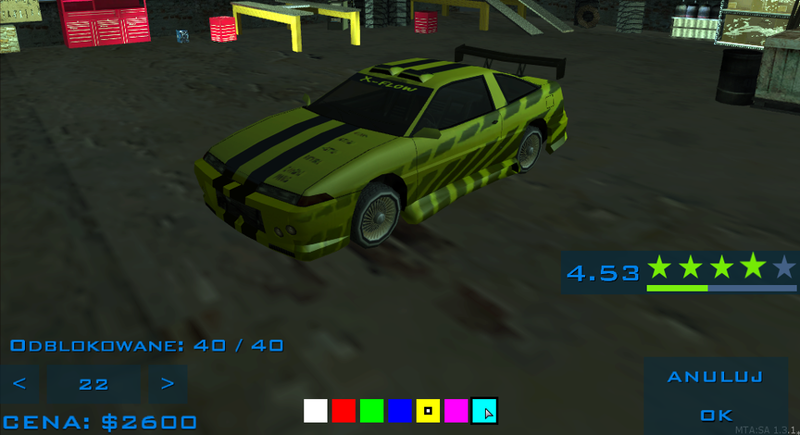 Notice paintjob and default rims. Looked exactly like one from NFS Underground 1. 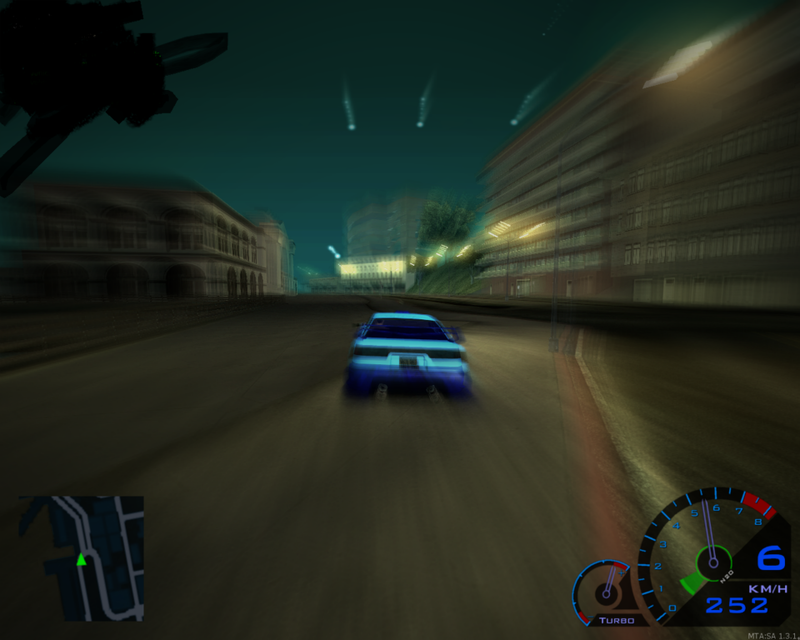 Notice default NFS SA tuning. Looked more like from UG1. 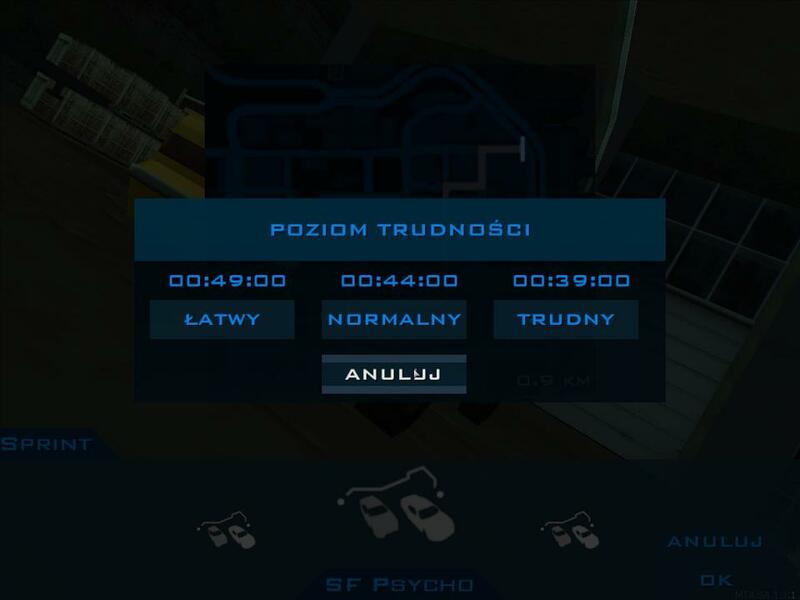 There are two pics showing achievements system before it was cut; one by Mef and one by Bartek. Mef's pic shows that achievements had their rewards and reward for this specific achievement was unlocking Clover. Looked like UG1, not Carbon. Notice default tuning and different name showing system. Character's system was also not present by then. 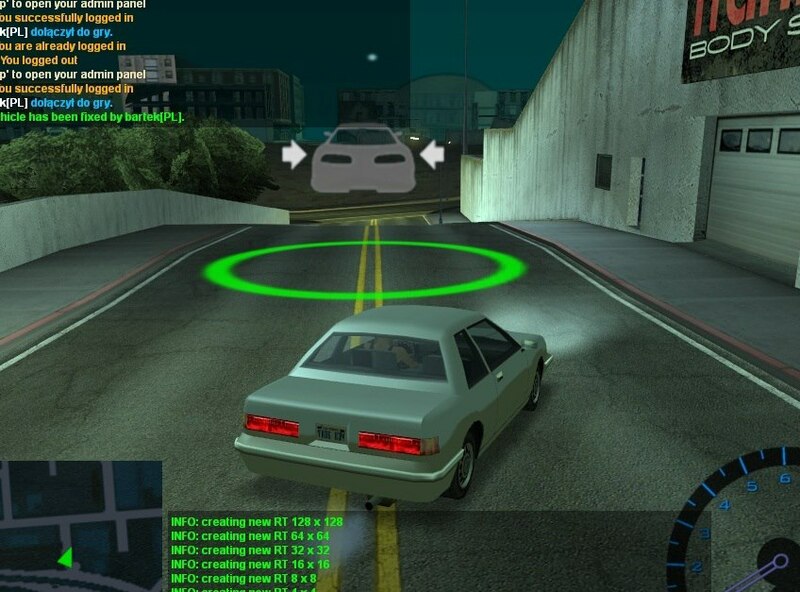 First pic on NFS SA's fanpage from 2012. 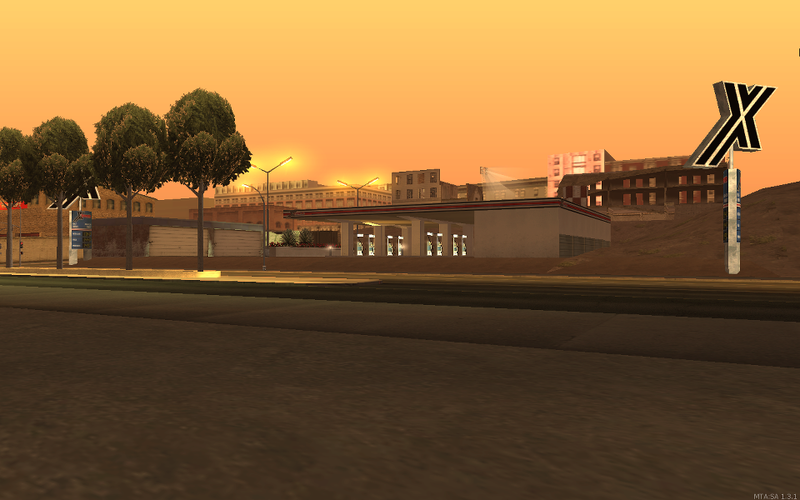 Cut track in San Fierro. Not present in current edition of server. 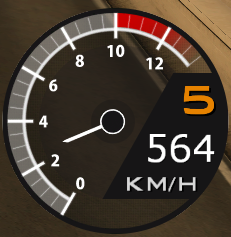 Some time ago the "Old school" name reappeared again on the name of San Fierro's sprints, but I'm not entirely sure if this is the same route. Looked like it's borrowed from MW2005. 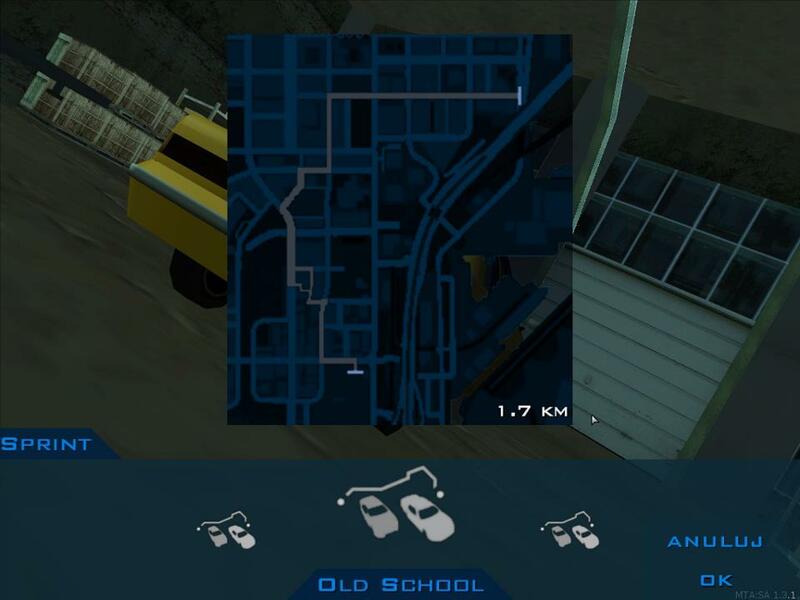 This is what I've found by digging through NFS SA's facebook page to it's roots. I thought it would be interesting to sum it up and share here. But well, people were asking from time to time for beta things, so, why not? Although only 1 of these is actually a cut feature from the current server version. 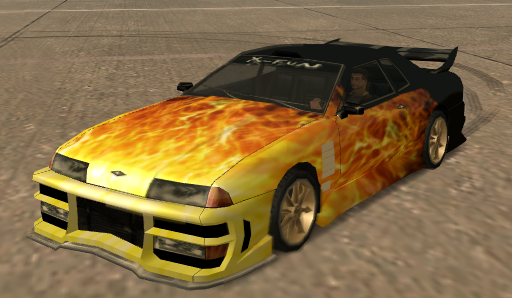 The old NFS:SA is long gone. (28-09-2016, 21:51)Venom Wrote: Although only 1 of these is actually a cut feature from the current server version. 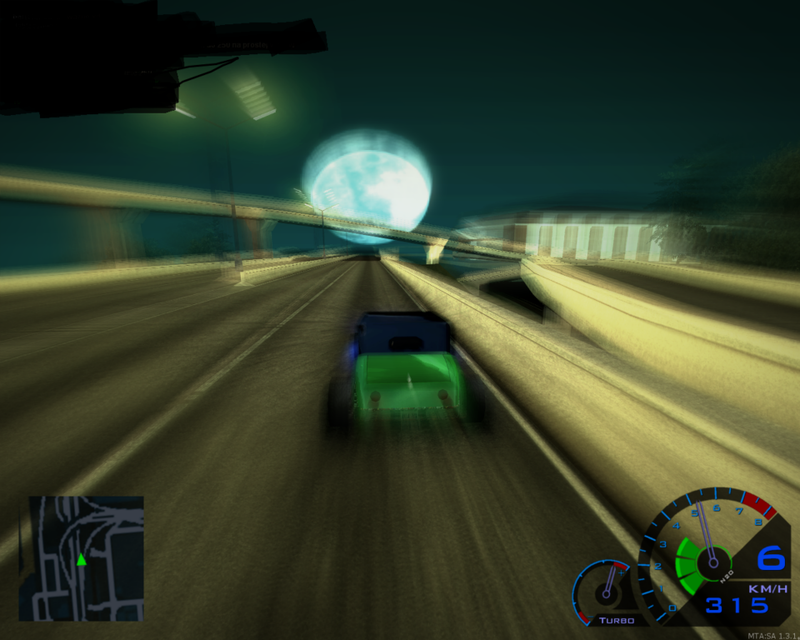 The old NFS:SA is long gone. 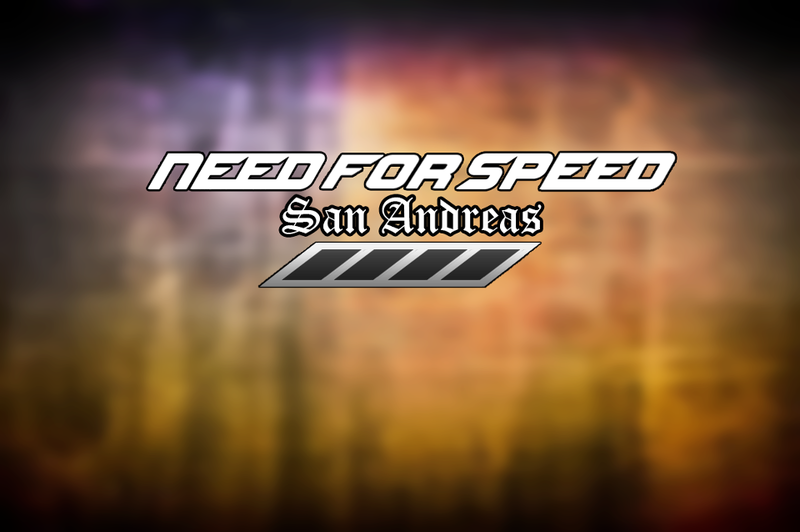 By writing "cut" I meant things that were also never added from old NFS SA to new one, however "abandoned" would work better. And I know it's long gone, but hey, informative thread is always good.